Greetings! I’m not exactly sure where the past week went, but between travelling, enjoying the last bit of spring break with Morgan, and a couple of work things, it slipped through my fingers! Oops. Happy to be back and eager to share art and inspiration this spring. The fruits and flowers of time. Isn’t that beautiful? 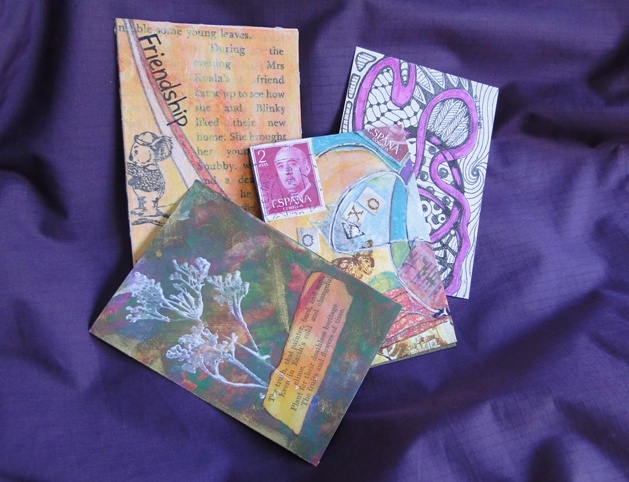 I was cheered by the other cards as well – Leslie’s lively hot pink and ink drawing, Fiona’s happy Friendship card, and the colorful collage from.. Spain? Well, it has Spanish postage stamps. I love knowing that the creators put not only their imaginations into these delightful pieces, but their hearts as well. Thank you! For more about the project, here’s a post on 6 Degrees of Creativity with links to other blog posts by participants. 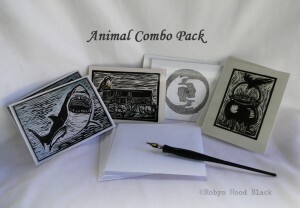 The price per pack is slightly higher than my same-design packs, simply because there is a little more time involved in assembling them. Thank you, Dear Customer who spurred me on, and I hope other folks will enjoy these options as well. Now, I’ve got some new projects coming up with the daffodils – what are your artistic plans for Spring? I spent much of the day at the home of lovely and talented artist Beth Rommel for our monthly art critique group meeting. 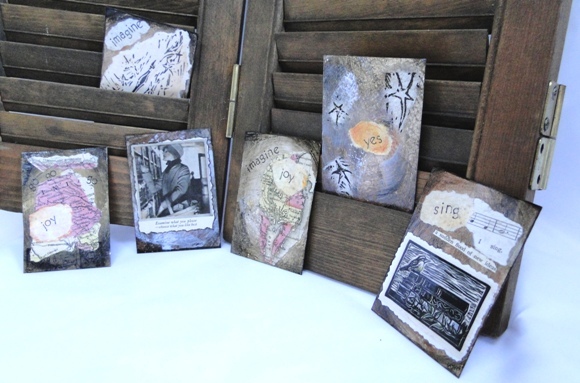 Beth has been working hard behind the scenes on the 6 Degrees of Creativity “Pocket Change” project. 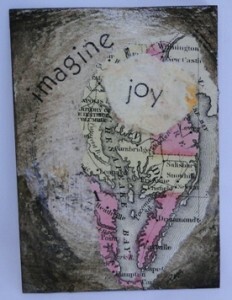 Participants from all over the world have mailed in four Artist Trading Cards (ATCs) apiece. Each will receive three different ones back, with the fourth kept to be posted and shared with the others, online and possibly in an ezine. Pocket Change is all about how simple and small acts can create and instill kindness, gratitude, and change. I sent in my cards and am looking forward to surprises in the mail later, plus seeing the whole group and learning how the creativity behind all of these cards – and there are hundreds and hundreds of cards – has enriched lives in small and large ways. Grateful to be participating! I had a lot of fun making these, using materials such as a map from an 1875 geography book, an ad from a 1927 issue of Good Housekeeping, and bits and pieces of my own relief printing. Many thanks to the organizers for putting together this offering of creativity to the world! 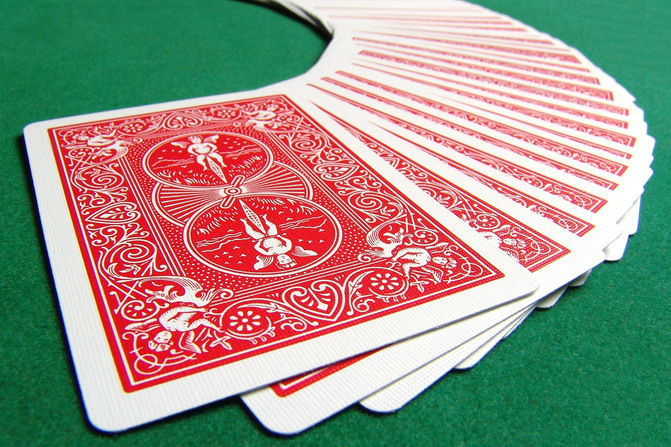 Art Break Wednesday: Pick a Card! Okay, not THAT kind of card. 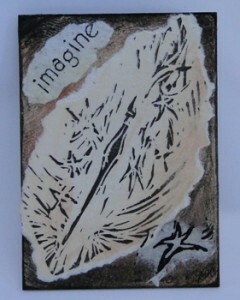 This week I signed on to participate in an exchange of Artists Trading Cards (ATCs). The deadline was last night and I think I squealed in just before cut-off. I’ve seen them around and in the art magazines for a long time – these amazing little gems of art shared between creators and often sent to other parts of the country or world. They’re about the size of playing cards, or sports trading cards, etc., and just about anything goes media-wise. My amazingly generous and talented friend Beth Rommel has volunteered to help with this current project, which she blogged about here and here. 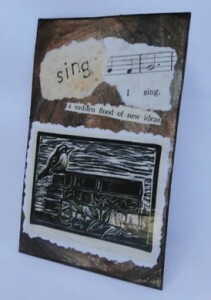 (Click over to see some lovely examples of her ATC’s.) It’s fun to think of these colorful wonders not only arriving in someone’s mailbox, but perhaps left somewhere to brighten a stranger’s day, guerilla-style! One reason I jumped in for this project is that I’ve recently enjoyed receiving creative surprises in the mail. I had the good fortune to participate in a Poetry Swap in December, organized by the also-generous-and-talented Tabatha Yeatts. My blog post about her gift to me is here. And her post about my gift to her is here. 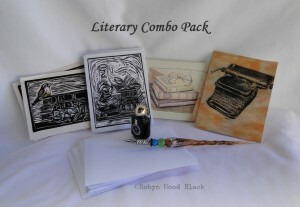 Another poetry friend Laura Shovan is blogging about a postcard project she’s got going on this month and next, celebrating her 44th birthday in February. (She’s documenting these one by one in current posts!) 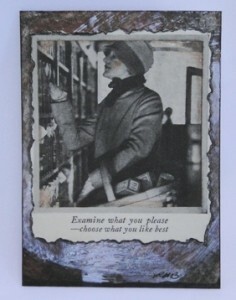 I recently received my postcard (with an original poem of hers on the back) and blogged about it, too, here. 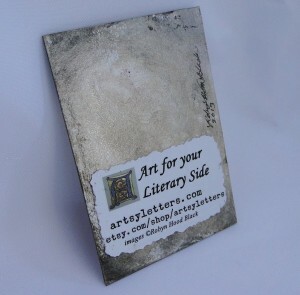 I look forward to creating my own Artist Trading Cards in the next couple of weeks and sending them off. I’ll post a picture or two. How about you? 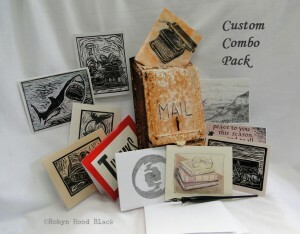 Have you participated in any fun, creative swaps yielding a bit of wonder in your mailbox?